Best Dog Training Palatine IL, Arlington Heights, Hoffman Estates, Barrington and Algonquin! Welcome! My name is Rick Edstrom and I am a native of the northwest suburbs, a long time dog owner, and the Bark Busters trainer for this area. Over the past 12 years, I have successfully trained many hundreds of dogs throughout Algonquin, Arlington Heights, Barrington, Hoffman Estates, Palatine, and Schaumburg, and I am confident I can help you train yours. How? Bark Busters Home Dog Training has a unique dog training method that has been proven with over 1 million dogs worldwide. Your dog is most comfortable and able to focus in his own “den”. Home is where most of the problems occur and where I can watch the dog in action and provide solutions. As puppies, dogs learn from their mothers and siblings to communicate as a member of a pack. When they are thrust into the human world, they don’t understand human communication. I teach you how to properly communicate with your dog using voice tones and body language so they learn and understand your commands and your expectations about their behavior. It’s simple, fun and fast. Chances are you are very frustrated and want your dog’s behavior to change quickly. After your first training session with Bark Busters, your dog’s behavior will begin to transform instantly. “We were amazed at the dramatic changes in our dog after the first session. We have so much more peace at home thanks to the techniques we learned that resulted in a change in behavior.” Kristin B. Not only is Bark Busters vet recommended, but we are also the ones people turn to when other dog training methods have failed. Many dogs can’t focus at a group class, or aren’t motivated by the food-based reward system that so many other trainers use. In addition, owners often find that most general obedience training doesn’t address their dog’s most annoying behaviors. We can also tackle the tougher issues like aggression and separation anxiety and produce long lasting results. “I have used other methods in the past, and this method was the easiest to use, with immediate results. Much less frustrating than other methods. Rick is a fabulous trainer. He was very patient with us in getting the timing down, etc – really took the time to be sure we were comfortable. “ Susan P.
From Maltese to Great Danes, whether your dog is a mixed breed or pure breed, old or young, our dog training methods will work. Every dog in unique, and I will develop a customized plan to help your dog overcome the issues that are bothering you. 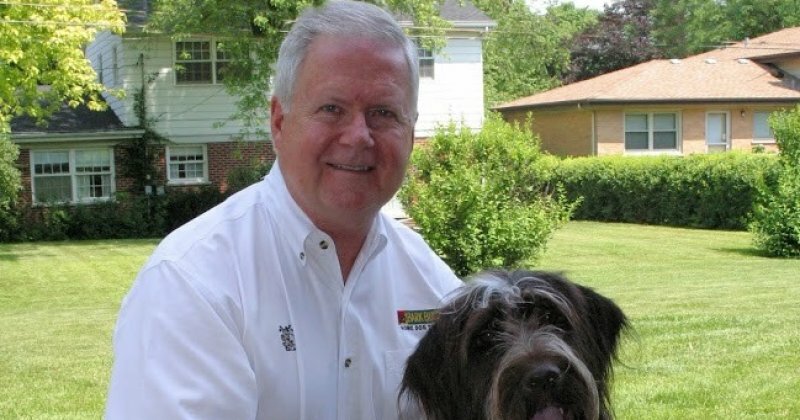 If you want a relaxed dog and household, call Rick Edstrom at Bark Busters today! Remember, hopefully your dog will live for 10+ years … don’t you want to enjoy him/her as a pleasant companion for all that time?